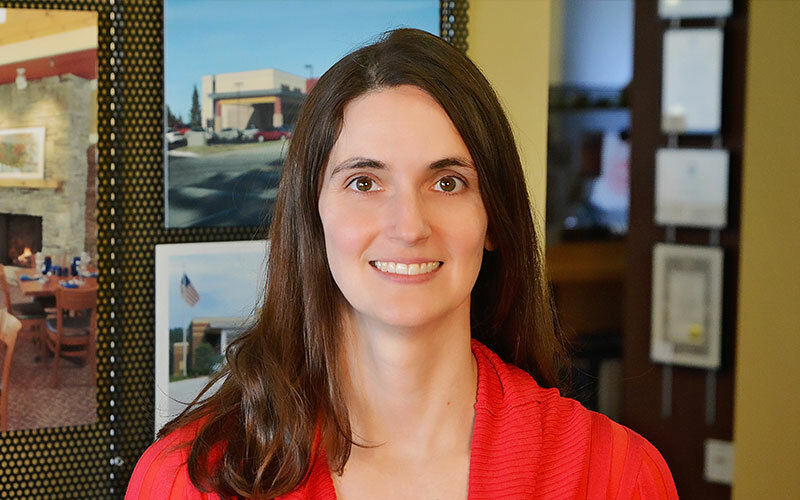 DSGW Architects is pleased to announce its recent hire of Angie Wilson, who will join the Lake Elmo office as a registered architectural professional. Wilson comes to DSGW with over twelve years of experience in the industry, having worked as a designer and an architectural project manager at firms located in Minnesota and Wisconsin. The types of buildings in which she has designed vary from housing to hospitality and commercial. “I’m excited to join DSGW. The breadth of their work and the fast pace of the industry means every day is different with new puzzles to solve.” Wilson said. She is currently working on two commercial projects: Tamarack Hills located in Woodbury as well as Family Pathways in North Branch. Wilson graduated in 2006 from the University of Minnesota with a Master’s Degree in Architecture and also holds a Bachelor of Science Degree in Architecture from the University of Minnesota. She is a registered architect in Minnesota and is also a LEED accredited professional. Read More » Happy Holidays from DSGW!